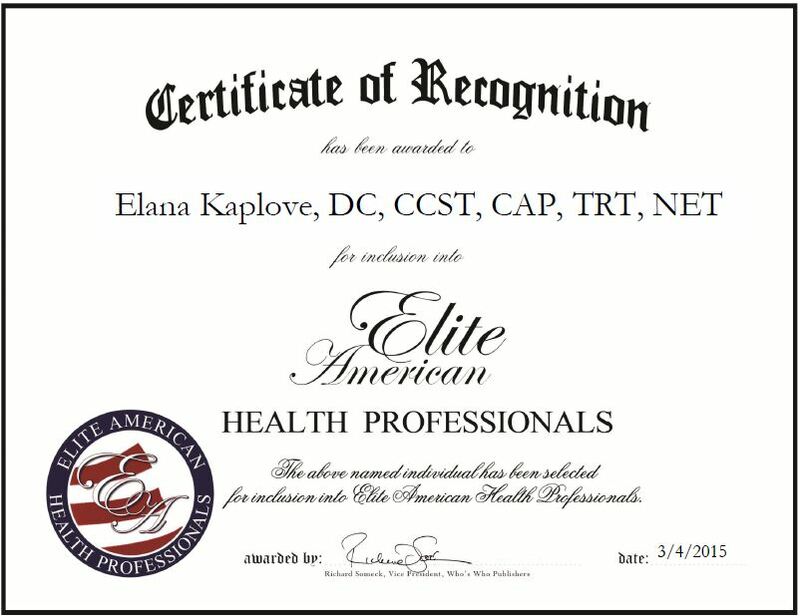 Boca Raton, FL, March 4, 2015, Elana Kaplove, DC, CCST, CAP, TRT, NET, Holistic Chiropractic Physician and President of Back in Balance, has been recognized by Elite American Health Professionals for dedication, achievement and leadership in chiropractic services. Dr. Kaplove comes from a family of medical doctors, and was always good with her hands. She had a spiritual epiphany at the age of 21, and knew that working as a holistic chiropractor was her calling. 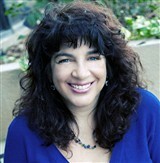 Dr. Kaplove has been in private practice in Florida for the last 10 years, after spending 16 years in San Francisco. In her role at Back in Balance, Dr. Kaplove is responsible for seeing patients for all ailments and injuries, with an emphasis on emotional work, including addiction, nutrition, nutraceuticals and more. Following her undergraduate studies at UC Berkeley, and receiving a DC from Life Chiropractic College West, Dr. Kaplove achieved postgraduate degrees in whiplash, biomechanics, addiction and nutrition. She also holds a Neuro Emotional Technique (NET) Certification, Chiropractic Addiction Prevention (C.A.p) Certification, Chiropractic Spinal Trauma Certification, and Touch Related Technique Certification, and is pursuing a certification in Brimhall Wellness. Dr. Kaplove attributes her success to her desire, passion and compassion. Looking toward the future, Dr. Kaplove knows exactly where she will be growing the practice and her interests. This entry was posted in Holistic Medicine and tagged addiction, biomechanics, chiropractic medicine, emotional work, nutrition, whiplash. Bookmark the permalink.